Camptown Races was written by Stephen Foster in Cincinnati, 1849, and was originally named, Gwine to Run all Night, or De Camptown Races. Camptowns, or what may be termed today as "shanty towns", were the villages on the outskirts of frontier towns, where slave labourers lived. 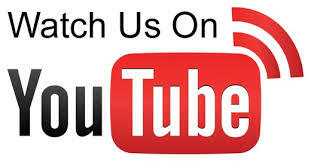 A minstrel song, Camptown Races is one of two famous songs from the era, along with Oh! Susanna. With nonsensical lyrics, the up-beat and jumpy song was used as a parody in the 1860 Presidential campaign for Lincoln. Originally composed as a solo song, accompanied by group interjections and refrain, the song was popular with musical troupes of the era. Camptown Races was described by critics as Jaunty and tuneful, yet comical in that it used low tones of the instrument, along with the high tones of the vocal, in creating an unusual style. Its characteristics involved harnessing an unusual and unruly clutter into a controlled style. 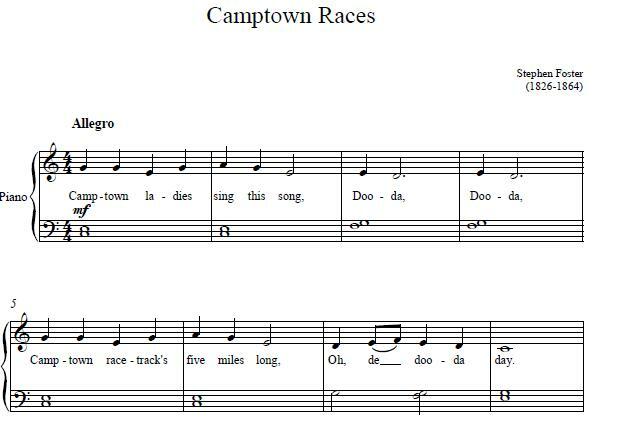 Camptown Races remains a fragment of American history, from an era long gone, yet preserved in song.